The team at Bell Seamless Gutters has been servicing New Jersey for more than five decades. We are proud to introduce our reliable rainwater collection methods. At Bell Seamless Gutters, we understand that excessive rainwater is a burden to any homeowner or proprietor, especially when you worry about excess water damaging your yard. When you take advantage of our rainwater diverter services, you can ease that fear, leaving you with reliable gutters and peace of mind. We install a rainwater collection system that places you in full control. With one pipe splitting like a fork in the road, you can choose whether to send rainwater down one side or the other. If your rain collection bin becomes too full, all you have to do is close that side of the downspout diverter. This helps to mitigate the rainwater around your property, and ensures the foundation of your property will remain dry and safe. 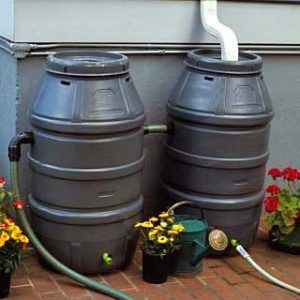 Every homeowner in New Jersey can benefit from our rainwater collection services; contact us today!